Craig Dolezel, Bonnie Hite, Laura Moore and Bob Hite perform Its a Wonderful Life: A Radio Play at the Pagosa Springs Center for the Arts. Its a Wonderful Life opened in December 1946 in New York City, and the holiday classics heartwarming message endures despite recent holiday seasons more memorable for the not-so-heartwarming brawls at discount shopping stores. The films quaint setting, post-World War II-fitted suits and mid-Atlantic accents may seem antiquated to cynical modern audiences, but its underlying message of being thankful for what you have is as pertinent today as it was nearly 70 years ago. Capturing that spirit is the Pagosa Springs Center for the Arts production of Its a Wonderful Life: A Live Radio Play, which opened Friday night. As audiences have come to expect from the resident Thingamajig Theatre Co., the show featured strong performances and meticulous direction. 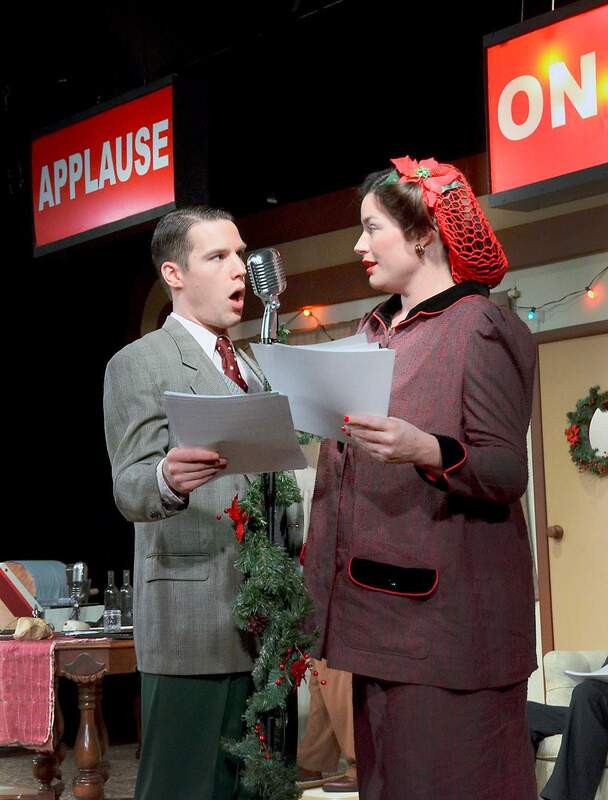 Developed in 1997, Its a Wonderful Life: A Live Radio Play is set in a 1940s New York City radio station on Christmas Eve. The cast portrays fictional voice actors, bringing to life multiple characters from the original movie. 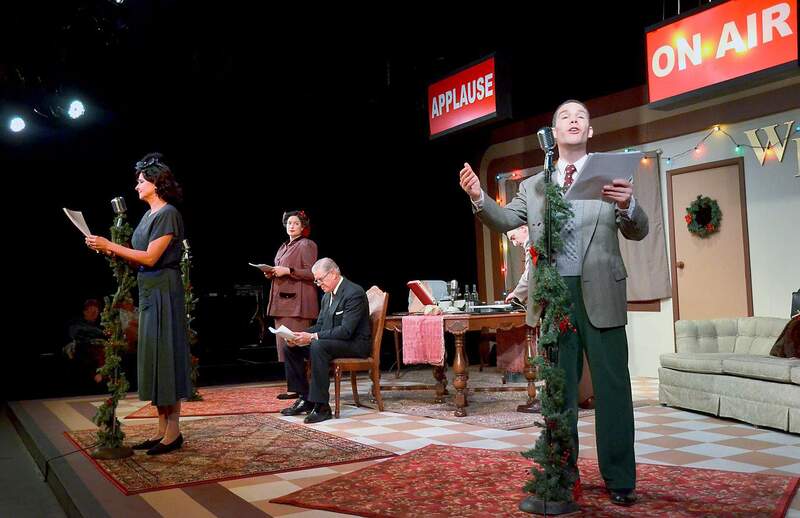 A staple of many theater companies holiday season, the radio play version is enjoyable not solely for the classic story but also for a glimpse at a lost form of entertainment. From the slam of a door to the stomping of hurried footsteps, the strong, five-actor cast vividly animates what would otherwise be a simple stage reading. With a population base of less than 2,000 from which to draw, Thingamajigs artistic director Tim Moore has demonstrated an amazing ability to find talented actors locally and from out-of-state  making the PSCA a big step up from standard community theater. Moore often acts in the productions as well, but he is the director of Its a Wonderful Life and chose to stay off stage this time around. Returning to the Pagosa Springs stage from New York is Craig Dolezel as actor Jake Laurents, who plays George Bailey. Recently earning his master of fine arts from Rutgers University, Dolezel easily assumes the angst and frustration of a good-hearted man who never fulfilled his lifelong dreams. Opposite Dolezel is Laura Moore as Mary Hatch, among others. As always, Moore gives the distinct impression she is enjoying herself. A pleasure to watch, she is as entertaining at the microphone as she is providing sound effects. Former newscaster Bob Hite brings his deep, baritone voice to the role of Freddy Filmore, the program host. Among Filmores many assumed roles is the heartless businessman Mr. Potter and Georges feeble uncle, Billy Bailey. And taking on a schizophrenic smattering of roles  including Violet Bick and Clarence, Georges guardian angel - are Bonnie Hite and Mark Brown. 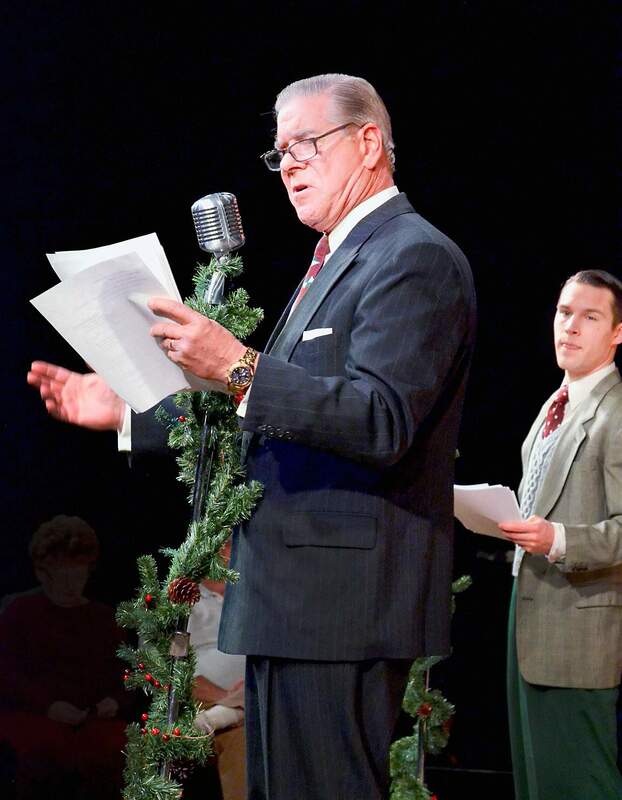 Its a Wonderful Life: A Live Radio Play is a well-produced, fun to watch holiday special  a production well worth the trip to Pagosa Springs. As with the original film, the theatrical rendition is a nostalgic escape for old and young audiences. It is an enjoyable and much-needed break from the holiday madness to which weve grown so accustomed. margaretyh@gmail.com. Margaret Hedderman is a freelance writer based in Durango. Thingamajig Theatre Company presents Its A Wonderful Life: A Radio Play, adapted by Joe Landry, directed by Tim Moore. Show times are 7 p.m. Fridays and Saturdays and 2 p.m. Sundays through Dec. 23 at Pagosa Springs Center for the Arts, 2313 Eagle Drive. Tickets cost $18-$25, available at www.pagosacenter.org or 731-7469.